From beachfront hotels and jungle-camp hideaways to colonial cottages high up in the Hill Country, there’s a wide range of fantastic places for families to stay in SRI LANKA. Reflecting the country’s varied landscape and wonderfully diverse environment, they’re set amongst paddy fields, on the borders of a national park and atop a cinnamon estate. And most of them are steeped in history, too – the following list of our favourite places to stay, reviewed in the order you’d encounter them on our Big Trip Sri Lanka itinerary, includes a chieftain’s residence, a spice merchant’s house and a hilltop home that was once used as an elephant stable. From an eco-reserve near Sigiriya to tropical houses just a stone’s throw from the sea at Tangalle, staying at any (or all) of these will help your kids remember their visit to Sri Lanka long after your trip has ended. 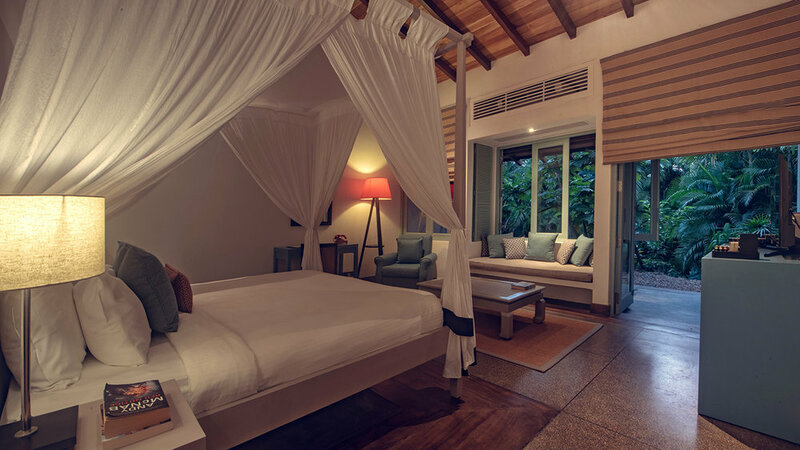 With the exception of Mount Cinnamon, you can reserve all of our recommended places to stay in Sri Lanka through Booking.com; clicking on the hotels’ name below will take you directly to their booking page, where you can fill in your dates and secure your stay. To find out more about why we’ve partnered with Booking.com, see here. 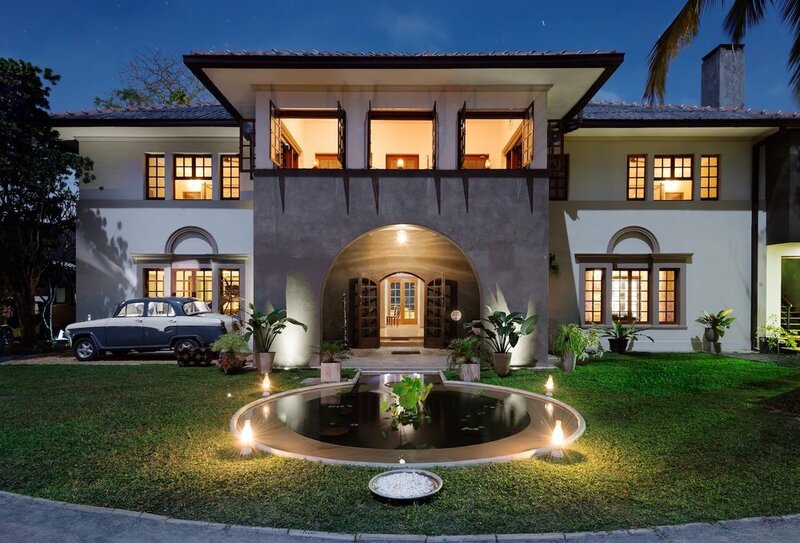 A stylish conversion of a former chieftain’s residence just 10km from the airport, THE WALLAWWA is a great place to spend your first and/or last night in Sri Lanka. 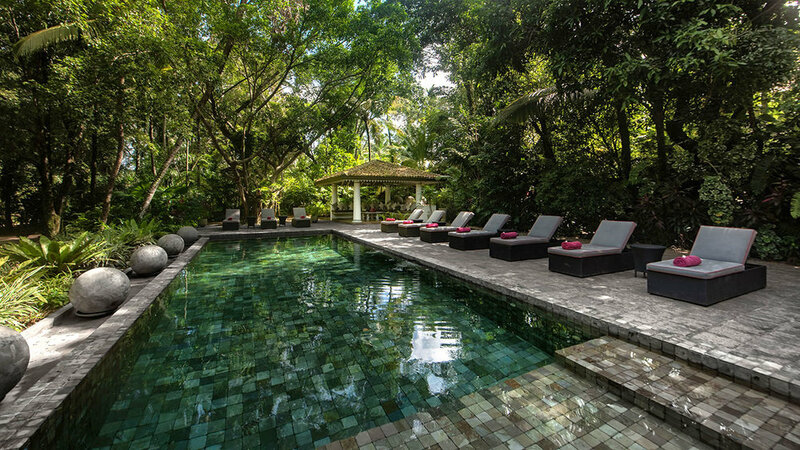 The eighteenth-century colonial home (wallawwa is Sinhalese for “manor house”) is set amongst lush tropical vegetation down a side-track in the village of Kotugoda, a secluded and tranquil location that’s perfect for a spot of poolside recovery. There are day-beds for post-flight slumbering and a spa whose treatments include a “Kid’z Massage”. If you’re feeling slightly more energetic, you can try and squeeze in a game of croquet or carrom, a traditional Sri Lankan wooden board game, before afternoon tea and cake. The rooms themselves front a central courtyard whose pond is a chorus of frog song at night. 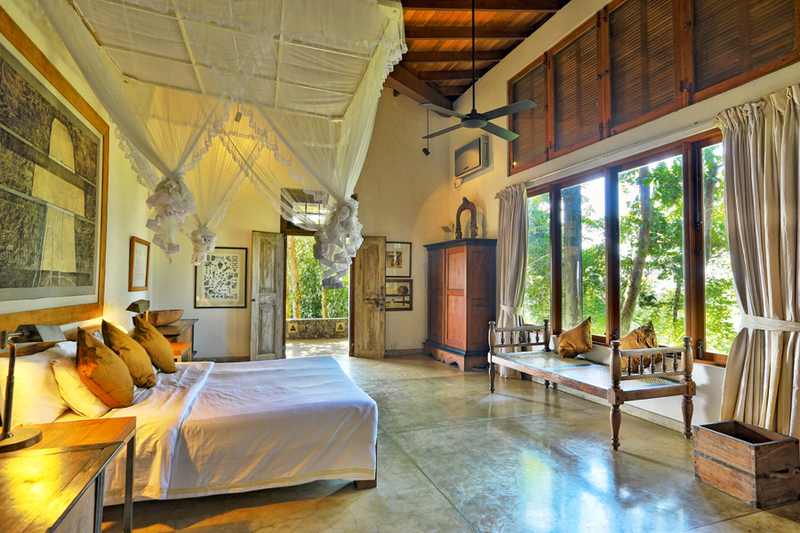 They all feature artesan-made four-poster beds, widescreen TVs and huge bathrooms with rainwater showers. The spacious Garden Suites (sleeping up to 3) have cute window seats that look out onto their own veranda and lawned garden; bigger families can opt for a Family Suite (sleeping up to 5), comprised of a Garden Suite and an interconnecting twin room, or the indulgent Mountbatten Suite, featuring a large living room, an extra bedroom with two queen-size doubles and two bathrooms, plus an Xbox and its own private plunge pool. The brilliant on-site restaurant uses a variety of herbs and spices from their own organic fruit and vegetable garden. Hotel staff can arrange excursions to Negombo, half an hour’s drive away, or to the slightly closer wetlands at Muthurajawela. Is this Sri Lanka's finest hotel? It's certainly its most imaginative. The ground-breaking JETWING VIL UYANA eco-reserve is set in former arable land now returned to paddy fields, marsh and forests. 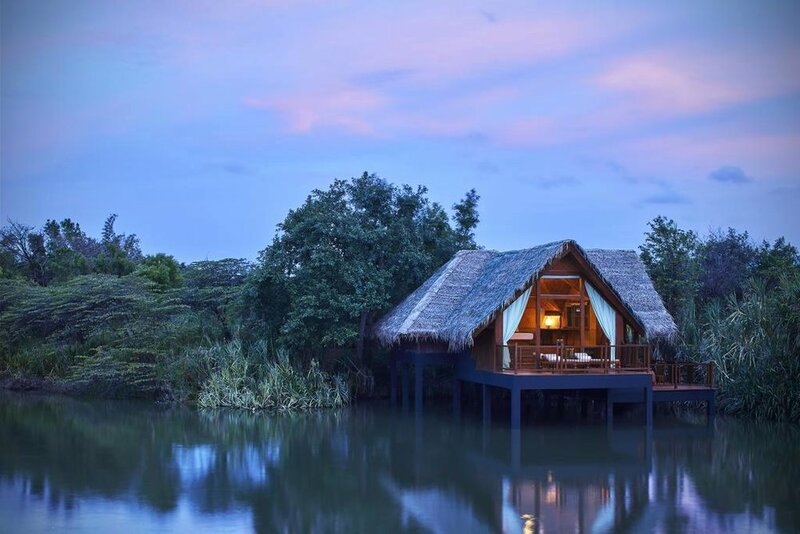 Large thatched “dwellings”, elegantly constructed from bamboo, rattan and woven reed, are dotted amongst the foliage and have huge minimalist bedrooms (several can sleep up to five) and brushed-concrete baths that are big enough to swim in. Garden Dwellings are hidden amongst towering grasses, Paddy Dwellings have far-reaching views (and their walkways are atmospherically lit at night, when the surrounding fields throng with the croaking of frogs), but the largest ones are the two-storey Forest Dwellings, which come with their own little swimming pool. Despite being quite grown-up and luxurious, it’s a relaxed and very welcoming place, and attracts a lot of families because of it. And because of the wildlife – the different habitats harbour peacocks, monkeys, monitor lizards and a resident crocodile that’s regularly seen poking his snout out of the central lagoon. You can often spy him from the gorgeous infinity pool and from the main restaurant; there’s a good kids’ menu option here or you can choose to have your dinner up a tree house instead. After eating, join the hotel’s resident naturalist on an hour-long night walk in the reserve’s Grey Slender Loris Conservation Site (the only one of its kind in the country), where you've got a very good chance of spotting this diminutive bug-eyed bush baby. Vil Uyana is perfectly located for climbing Sigiriya, just 15 minutes down the road, and makes a good base for the Cultural Triangle in general, with the ancient Sinhalese capital of Polonnaruwa 55km east of here; the Dambulla Cave Temples, are also just 15km to the south, en route from the airport or on the way to Kandy. 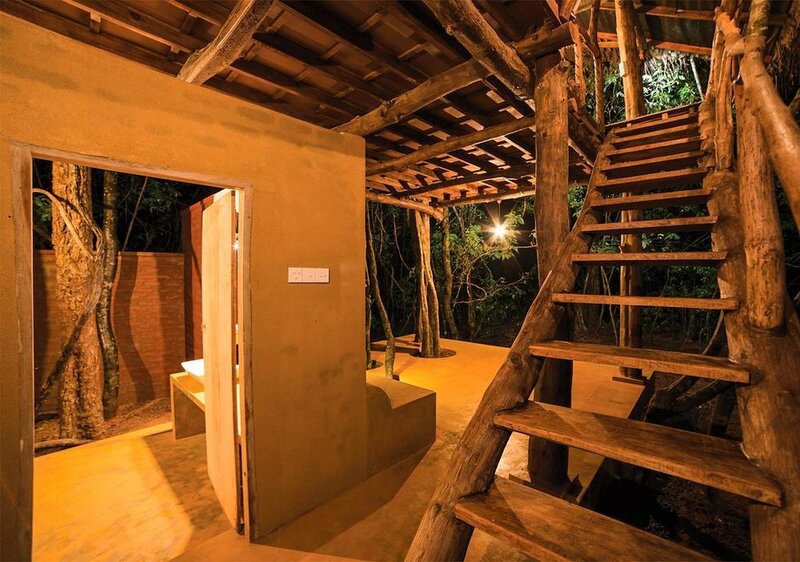 Part of a small group of rustic retreats, the charmingly untamed BACK OF BEYOND PIDURANGALA is hidden in the forest just a few minutes down the road from Sigiriya. Seven guest accommodations are spread around the four-acre grounds, each one blending into a background of trees and vines. Butterflies and birdlife abound, monkeys chatter in the overhanging canopy, and you might even spot wild elephants moving around the edges of the property, and even through camp occasionally. Families can choose a three-bedroom bungalow, with a kid-friendly attic sleeping area, or one of three spacious two-storey treehouses. These have a seating area and bathroom (think showering under the stars) built around the base of the tree and a large deck (sleeping up to 5) at the top of the wooden stairs. You’re under a palm-thatched roof, but there are no walls or sides on either level, so you’re very much open to the elements – and the local wildlife. It’s a brilliant experience listening to the noises of the forest at night, though, and you’ll fall asleep to the rustle of leaves in the breeze and awake to the sound of birdsong. Guests also have access to the main living room, and there’s a restaurant that serves Sri Lankan dishes (string hoppers, milk rice, etc) as well as Western meals – rooms are booked on either a B&B, half-board or full-board basis. Lots of activities are available, from paddling amongst water lilies on a late afternoon boat trip to birdwatching, night walks and taking a dip in a nearby wewa (man-made lake). And, of course, you can climb Pidurangala Rock itself, which towers over camp and offers outstanding views of Sigiriya. 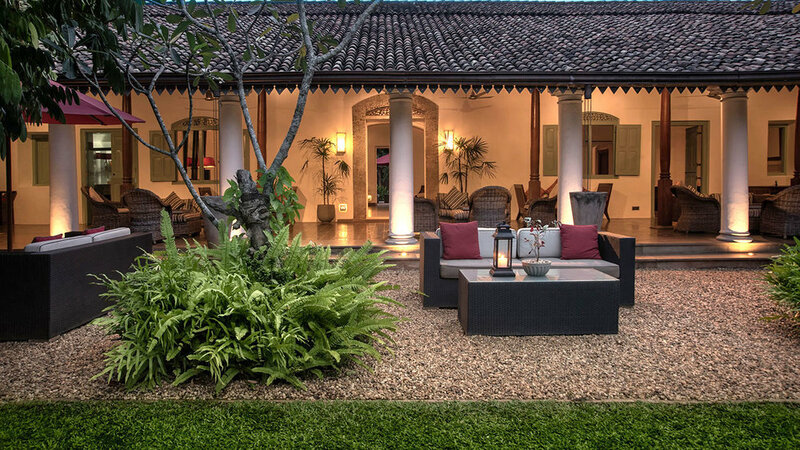 Located in the hills just outside Kandy, welcoming ELEPHANT STABLES is a beautiful boutique hotel that stylishly evokes its historic past – it was once home to the first mayor of Kandy and, as the name implies, was used to stable elephants. It’s a tranquil place, far removed from the activity of central Kandy and with just half a dozen or so rooms spread across the main building and around the attractive grounds. Refreshingly, most of them are suitable for families. 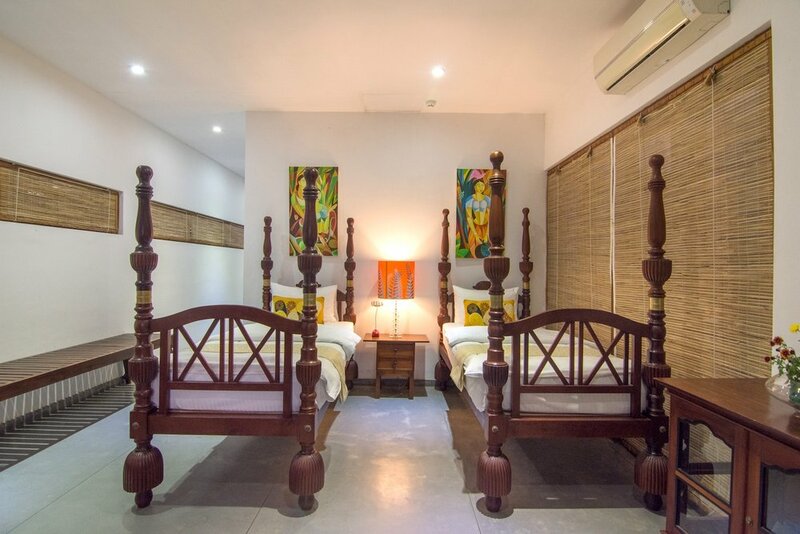 In the Colonial Wing, the Vanilla Suite is made up of a four-poster bed and a bunk bed in an interconnecting room, whilst several double rooms elsewhere in the main hotel can sleep a child in an extra bed (extra beds cost $60). The best options for families, though, can be found in the garden: the plush standalone Cottage Suite, beautifully furnished with latticework screens and stylised paintings of rural life, is partitioned into a bedroom (with a large four-poster bed) and a living room with two teak four-poster singles; the other side of the garden, the huge, quirky Royal Tented Suite is glamping Sri Lankan style and sleeps 5 in a double and 3 singles. In between the two, an infinity pool offers glorious views over the hills that surround Kandy. The friendly staff do a great job of making families feel very welcome, and kids are sure to love the little tortoises that potter round the grounds. It’s a ten-minute tuk-tuk ride down to the Temple of the Tooth (the hotel has its own collection of cool vintage cars if you want to tour round Kandy in style) and the Old Town’s restaurants – though make sure that you eat in one night, as the hotel does a fantastic set-menu dinner of rice with ten different curries (Western and children’s set menu are also available). Like the sound of having your own little rustic cottage to call home? Tucked away between fields of tea in the hills outside Ella, ARAWE RETREAT is a 150-year-old colonial cottage that’s been carefully renovated and restored. “Retreat” is the right word. 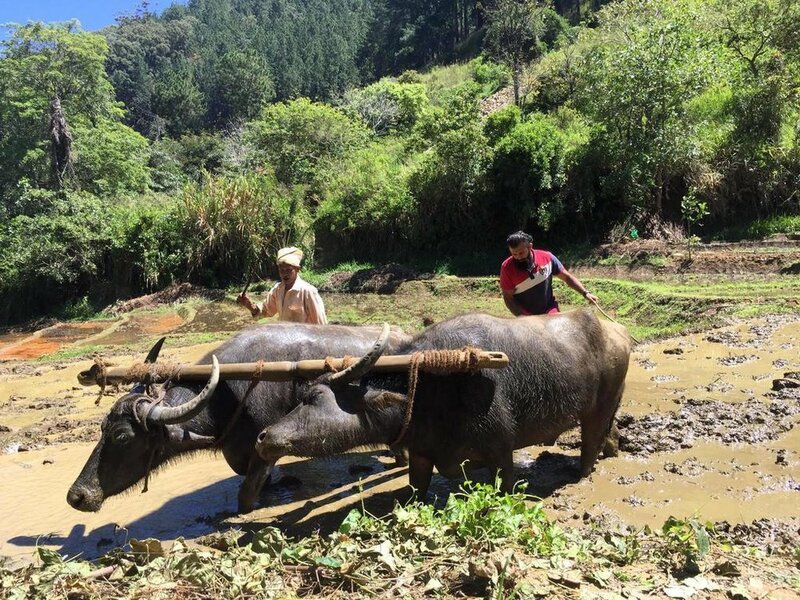 Arawe is secluded – the cottage is the only property on five acres of land – and overlooks forests filled with birds and paddy fields worked by water buffalos, making it a very peaceful antidote to the increasingly busy village down below. The two-bedroom cottage is thatched with palm fronds, has little shutter windows and is accessed via a porched area with alcove seating, rocking chair and cushions strewn on the floor. Rooms are stylishly minimalist, with polished concrete floors, bare walls and just a mosquito-net-shrouded double bed and wooden clothes rack and table in the way of furnishings, but they’re comfortable and cute touches around the place add plenty of character. Arawe is a family affair. Ishaanke, the attentive and accommodating host, inherited the cottage from his grandmother; Bandara, his uncle, cooks breakfast and evening meals (on request) and can teach you how to make Sri Lankan curry and sambal. Guests have access to an outdoor area, kitchen with brick BBQ and a terrace, where you can enjoy a brilliant breakfast. It’s a ten-minute minute walk into the centre of Ella, half an hour (or a short tuk-tuk ride) to the start of the hike up Little Adam’s Peak. There’s free pickup from Ella Station, which is handy if your driver isn’t going to be meeting you at the end of your train ride from Kandy. Set in a buffer zone on the northwestern outskirts of Yala National Park, the eco-friendly mobile camp at NOEL RODRIGO’S LEOPARD SAFARIS is a proper wilderness experience. Tents are dispersed amongst the bush – home to monkeys, monitor lizards and all sorts of tropical birds – dinner is served by gaslight and showers are taken beneath the stars. Considering that you're out in the wilds, though, the whole set-up is surprisingly family friendly – the open-sided lounge tent is perfect for relaxing in the heat of the day, filled with bean bags, hammocks and swing chairs, and there’s a refreshing saltwater swimming pool and plenty of children’s activities on offer, from identifying animal tracks around camp to junior photography lessons. Families can choose between the air-conditioned Luxury Lodge Family Tent, with wooden floors, a king-sized four-poster and bunk beds and its own bathroom (it can sleep up to 5 with an extra bed), or the more basic thick-canvas Family Mobile Tents, which have two separate bedroom compartments that can easily accommodate two adults and three children, a central living area with camping seats and a (zippable) wardrobe, and a couple of little cubicles out the back with flush toilet and hot-water shower. 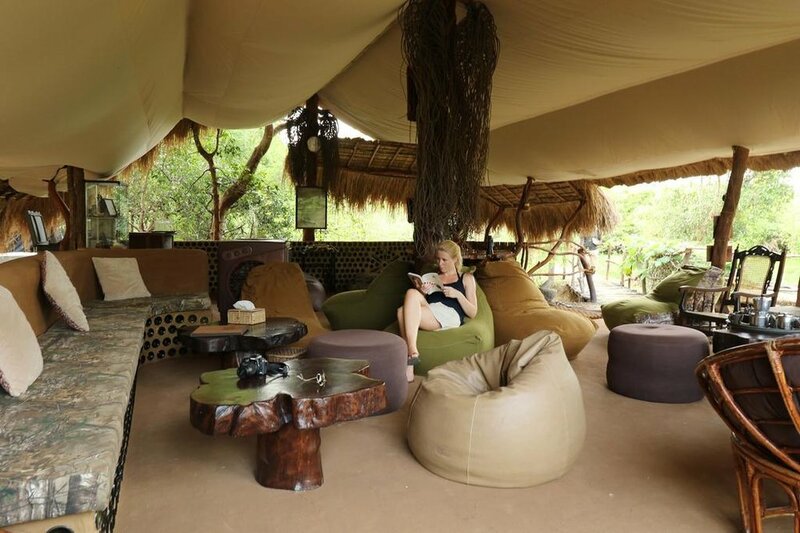 You need to be OK with creepy crawlies in these as the living area is not completely sealed, so you might find the occasional bush cricket or tree frog on the ceiling of your tent – all part of being on a proper safari! No matter where you’re staying, the food is consistently fantastic, remarkably so given the setting, and you can feast your way through the day from coconut pancakes to chicken biriyani to Sri Lankan hoppers and local curries. Game drives in Yala are the main thing, though, and the guides here are some of the best in the business – you've got a good chance of spotting wild boar, buffalo, elephants and even leopards on twice-daily forays into the national park with them. The camp is located near the park’s Katagamuwa Entrance Gate, which gives access to a quieter section of Block 1. A proportion of the (all-inclusive but very expensive) rates help support local projects. No under 3s. One of the closest hotels to Yala National Park, JETWING YALA lies behind scrub-topped sand dunes just metres from the sea in the far south of Sri Lanka. It’s less than ten minutes from the Yala’s Palatupama Entrance Gate, the main gateway into Block 1, but you don’t have to hop in a jeep to see wildlife in these parts – the grounds are home to monkeys, wild boar and monitor lizards, and it’s not unusual to see elephant either. 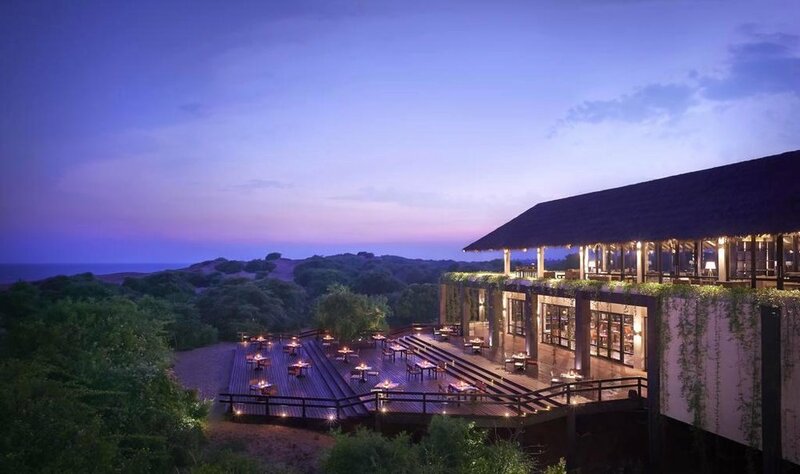 With eighty rooms, Jetwing Yala is a big hotel, one of the largest in the region, but it has a commendable commitment to sustainability and its thoughtful design ensures the hotel fits in pretty well with its surroundings. The main buildings and rooms are spread across an expansive area, so the hotel never feels too busy either. Despite its setting in a stretch of coastal wilderness (the nearest town, Tissamaharama, is 20km away), this is a contemporary hotel with all mod-cons. 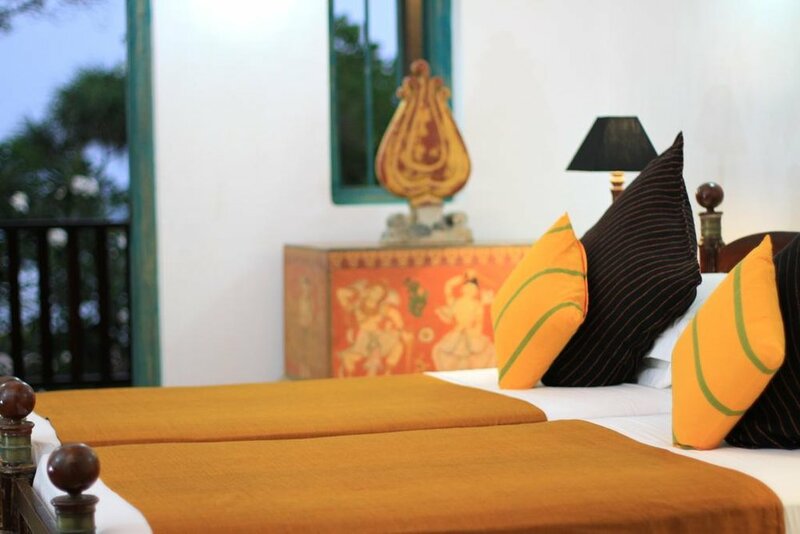 Standard and Deluxe rooms are equally elegant; both have balconies and a shower that opens up to the sky (and both can sleep 3 with an extra bed), but it’s worth paying a bit more for the Deluxe ones, a floor higher up and with views of the Indian Ocean. 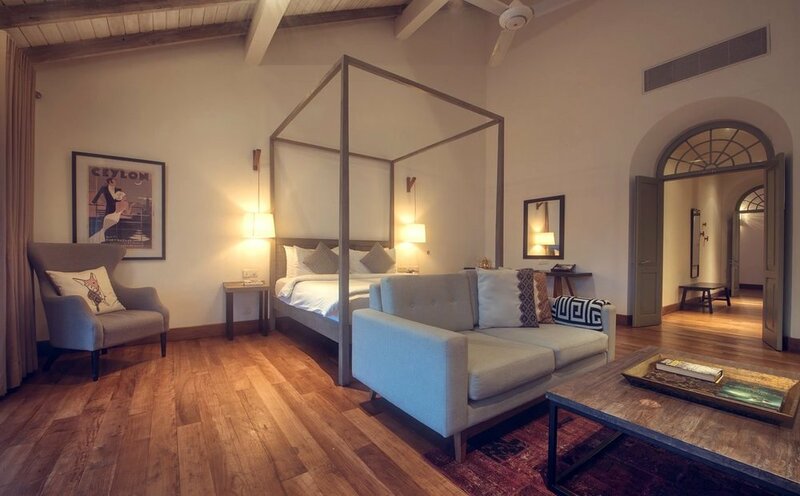 The ground-floor Family Room (there’s only one, so book well in advance) is uber-spacious, with a four-poster double, a separate twin room, a living area and your own private terrace; it can sleep up to 6 with two additional beds ($50 per bed per night). There’s satellite TV and a DVD player (on request), but you won’t need them with so much going on outside – as well as a 75m pool, there’s a rugged beach that’s ripe for wild walks or playing in the breakers (lifeguards are always on hand) in the downtime between morning and afternoon game drives, and the hotel can organise snorkelling and diving trips to a nearby reef. The range of food on offer at the two restaurants is impressive considering the location, and there’s (understandably) plenty of fresh fish, crab and prawns on the menu. Child-minding facilities are available. This laidback beachfront hideaway on Sri Lanka’s beautiful south coast is the epitome of barefoot bliss. As the name suggests, THE LAST HOUSE was the final work of Geoffrey Bawa, the country’s most famous architect. And the man made sure he went out with a bang. His trademark open layouts are evident everywhere (the lounges and dining room brilliantly blur the lines between indoors and out), as is his love of natural ventilation – forget air-con, ocean breezes do the job here. Painted in tropical hues and set around a courtyard swimming pool, it's also a fun place for children, with a whole stash of bats and balls and bikes for borrowing and a little gate at the end of the frangipangi-filled garden that swings out onto stunning Mawella Beach. The sea here is safer than at many other parts of the surf-lashed south coast, so you can swim in the shallows and venture further into the waves to try your hand at bodyboarding (complimentary boards are available), take long walks amongst the fishing boats that dot this otherwise empty 2km crescent, or head out on the hotel’s boat for some offshore snorkelling. There are just five rooms at The Last House, and you’ll be occupying two of them if you plump for the spectacular top-floor Cinnamon Hill suite. With a romantic four-poster, vast bathroom and separate en-suite twin room (plus an additional small twin room if needed), this is ideal for larger families; faded double wooden doors and huge shuttered picture windows are left open to the elements, so you can enjoy uninterrupted views of the sand, sea and sky, and there’s also your own wraparound balcony to relax on. A couple of the downstairs doubles can sleep 3, one in an extra bed ($65, including breakfast). There are several child-friendly choices on the restaurant’s beautifully cooked menu (and no-one’s going to be able to resist the home-made banana ice-cream), but other restaurants are just a sunset stroll along the beach or a tuk-tuk ride away. It's quite hard to find, hidden down a zig-zag of tracks in Sinimodera, so your driver might need to phone ahead for directions. Perched on the summit of its own cinnamon estate and enjoying breath-taking views over Weligama Bay, highly unique MOUNT CINNAMON is a plantation-style bungalow with a difference. 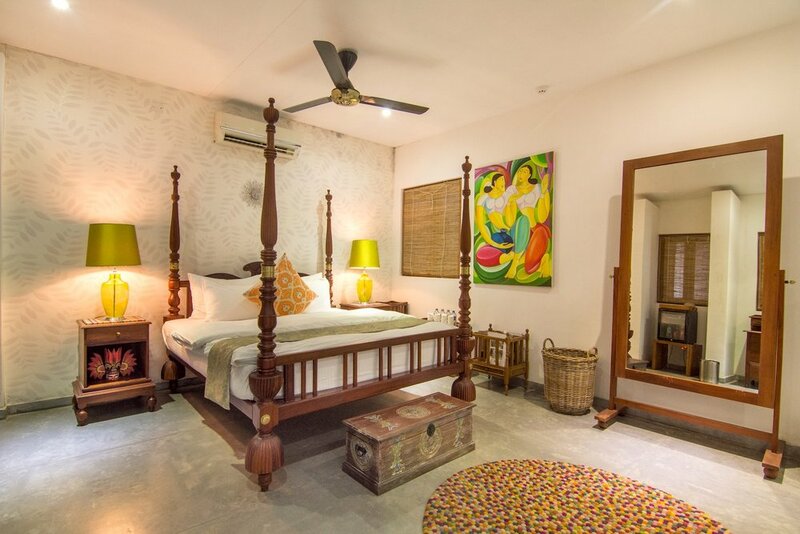 The uppermost accommodation option at Mirissa Hills, it was designed by celebrated Sri Lankan architect Anjalendran, and consists of three bedrooms and several elaborately furnished communal areas dotted with some striking works of art. An oversized terrace fronts a large lawn that’s good for burning off any energy your kids might still have after splashing about in the gorgeous courtyard pool. Pick of the rooms is the large family suite, with a king-sized double, space for at least a couple of additional wooden beds, and picture windows overlooking the slopes that are carpeted in cinnamon saplings; you can also read up on Sri Lankan history and architecture in the attached library. It’s unconventional and charming and the laidback atmosphere, discreet staff and likely lack of other guests makes it feel a bit like you’re staying at a friend of a friend’s house. Breakfast is a spread of fresh fruit, dhal and flatbreads, a tasty curry and rice selection is available for lunch, and dinner is a set-menu that you choose from in the morning. Mount Cinnamon might seem like it’s a million miles away from the noise and bustle of Mirissa town – a feeling emphasised by the rough track you need to bump along to get up here from the main road – but it’s only ten minutes by tuk-tuk to Mirissa Beach and a similar distance to the harbour, for whale-watching trips out in the Indian Ocean. 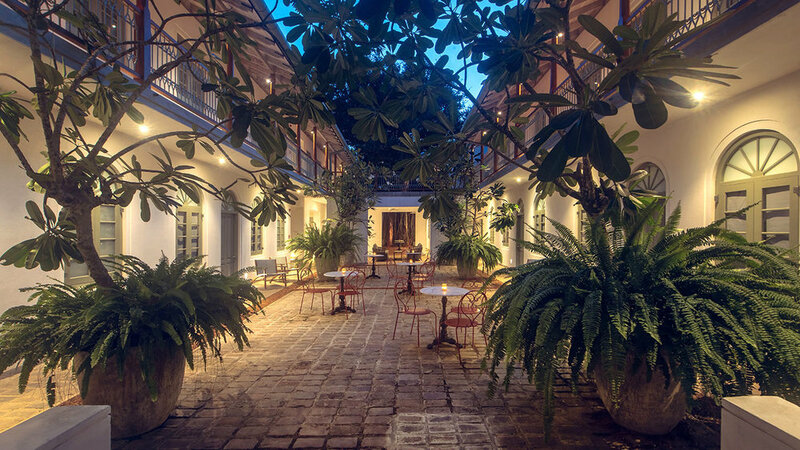 Nearly a decade in the making, FORT BAZAAR, a former spice merchant's house in Galle, has been exquisitely restored. Its location, on bustling Church Street at the centre of the colonial Dutch quarter, is difficult to beat, with the Fort’s historic sights, best restaurants and (most importantly) ice-cream parlours within easy walking distance. It’s all very tranquil and stylish in a contemporary-cool kind of way, but the atmosphere is relaxed and the staff are super friendly to children. Families can opt for interconnecting Bazaar or Banyan rooms (Bazaar rooms are slightly larger, Banyan rooms have their own private balconies or terraces) or the split-level Upper Family Suite, which has a king-sized four-poster, a lounge, a separate mezzanine floor with twin beds, and views over Galle Fort from its terrace. All rooms can fit an additional bed ($30 per night). Fantastic breakfasts are served in the trendy street-side café, which is an equally good spot for people-watching over lunch or early dinner; the dishes here are refreshingly varied, ranging from Sri Lankan fish curries and Moroccan tagine to gourmet burgers, and there’s also a children’s menu. 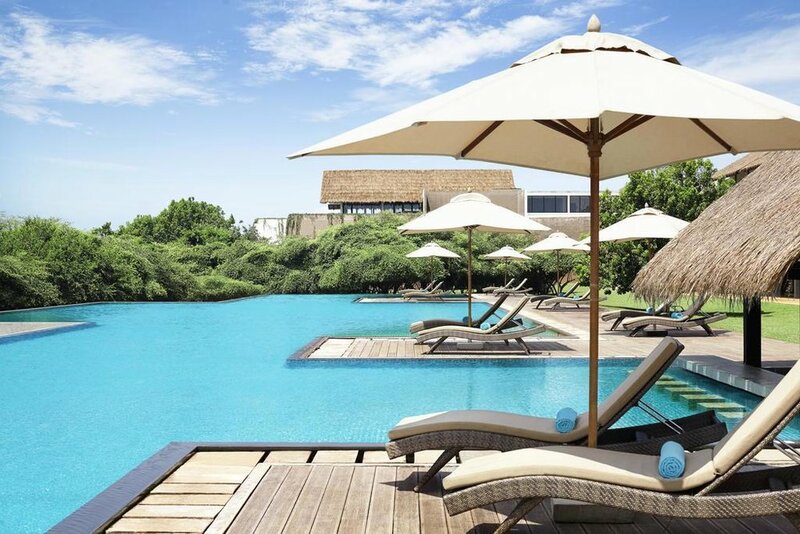 Fort Bazaar has an on-site cinema, and they even do a kids’ massage at their Z Spa, although the swimming pool is still on its way – in the meantime, staff organise free tuk-tuk transfers to a nearby hotel with pools. Rates include breakfast, afternoon tea and an evening “mocktail” (the hotel is awaiting its alcohol license, so is currently BYO). Babysitting services available. You can leave your luggage at reception and carry on exploring Galle after check-out – handy for your last day in Sri Lanka.